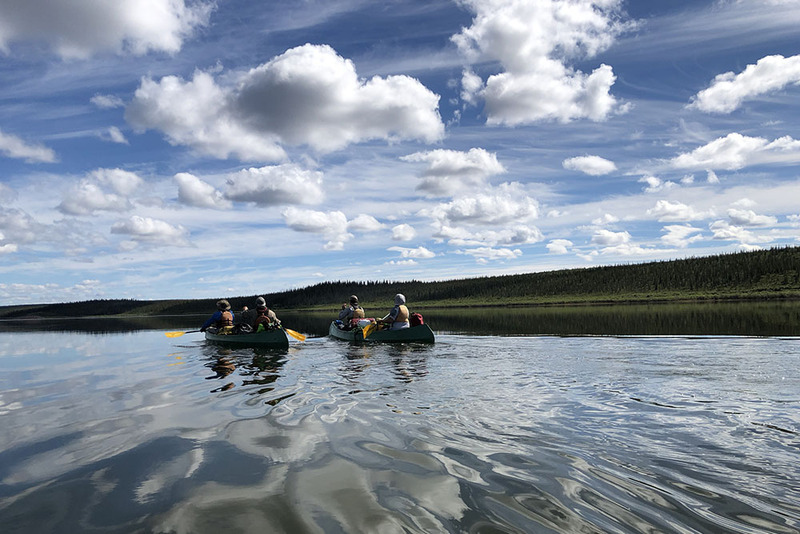 Join us for twelve days of canoeing on the Thelon River in Canada’s Northwest Territories and stay for a chance to see the legendary northern lights. We’ve selected the best time of year to adventure in this wilderness area. Bugs are few, colors are vibrant and the caribou have recently shed their antler velvet, revealing majestic racks. Brilliant northern lights may dance through the skies at night. 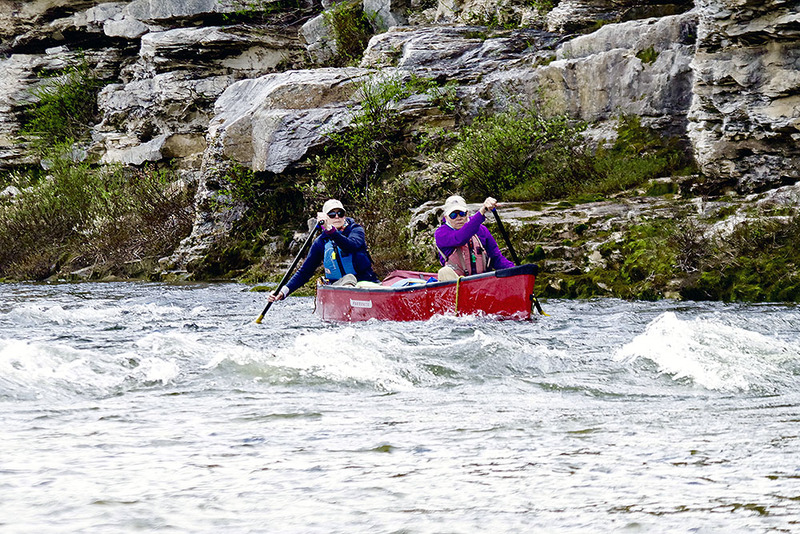 We travel over 10 river days from Double Barrel Lake to Eyeberry Lake over approximately 105 kilometres (65 miles) with an elevation drop of 68 metres (195 feet). Note: The start and finish locations on the Thelon described here are “samples.” We will select the exact locations closer to departure, based on data we receive concerning local wildlife numbers. In any event the hiking, scenery and fall colours will be excellent. Skill Prerequisites: Canoeists should have flat and moving water skills. If unsure of your ability, please call with any questions: 1-800-297-6927 or (867)-668-3180. Trip Dates To Be Announced. We meet in the colourful frontier city of Yellowknife, NWT. You should plan to arrive in Yellowknife for our pre – trip orientation meeting which will be held in the Explorer Hotel at 8 p.m. Following breakfast (not included), we will meet in the hotel lobby at 8 a.m. and then take a short drive to the float plane base where we board our float planes for the 2-hour flight over the tundra. From the plane, much of the “big picture” of the unique tundra environment is revealed. There appears to be as much water as land, with the myriad small and large lakes covering the landscape. Many of these lakes are elongated, all in the same direction, caused by the scraping of vast glaciers in the last ice age. Eskers are another visible vestige of the great ice sheets. 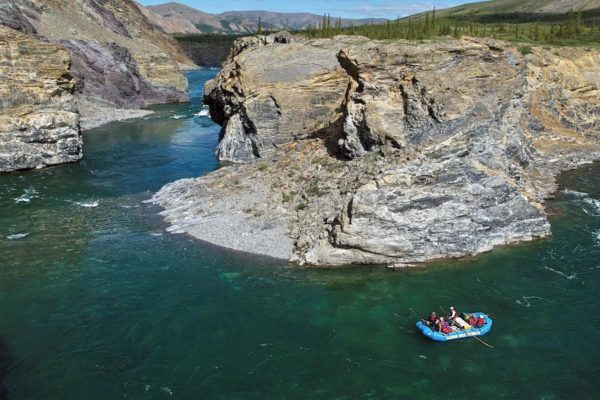 Where vast melt-water rivers meandered beneath the glaciers, loads of sand and gravel were deposited in the slower portions of these sub-glacial waterways, just as rivers today, deposit their burden. These deposits remain today as huge, elongated hills of beautiful sand and gravel – described by some as Caribbean white. The eskers are a hikers dream, like alpine ridges without the elevation gain – easy walking conditions. The great news for us is that they are home to wolf and fox dens and covered with tracks of the local animals. Landing at Double Barrel Lake, we will establish camp for two nights and set out to explore the local esker. 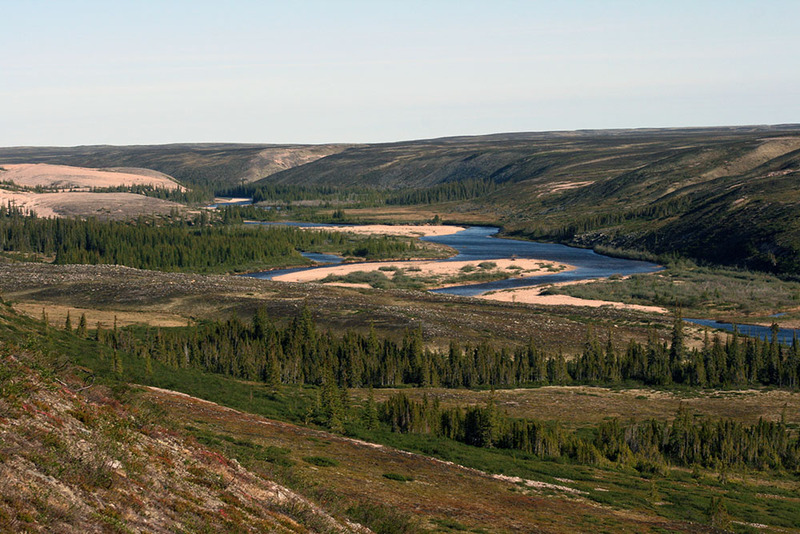 This location is unique to the tundra as thick groves of spruce dot the landscape, though we are hundreds of kilometres north of the tree line. 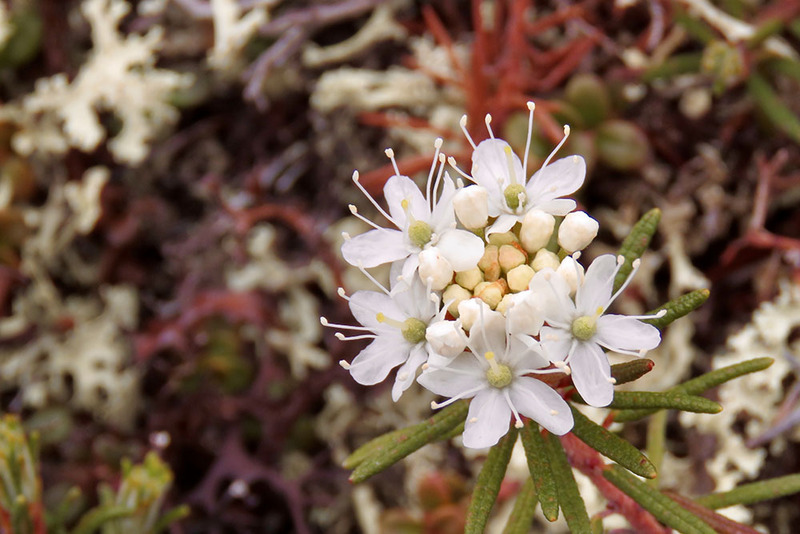 In addition to the beauty of the fall colors, the timing of this trip means that we will encounter very few of the bugs for which the tundra is infamous. Paddling down Double Barrel Lake and into the channel of the Thelon, the surrounding land is in the height of fall colors. 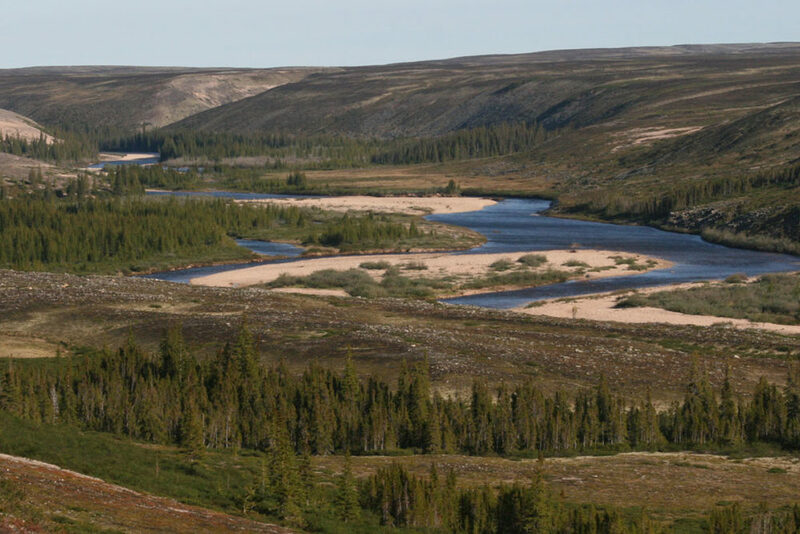 The river is flat and as we paddle we enjoy the vibrant crimson color of the low-lying willow and dwarf birch. 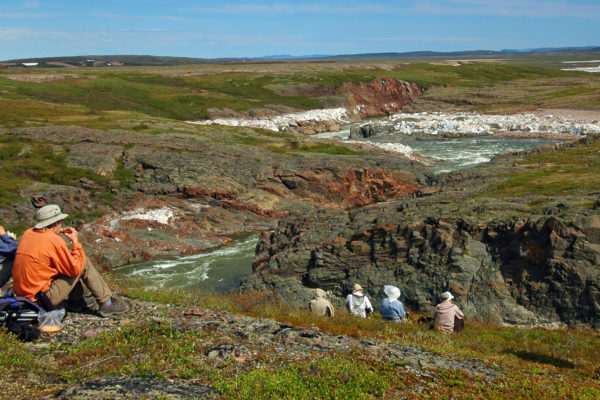 Wolves, caribou and muskox may all be found here. At this time of year the wolf pups have grown to the size of small dogs. 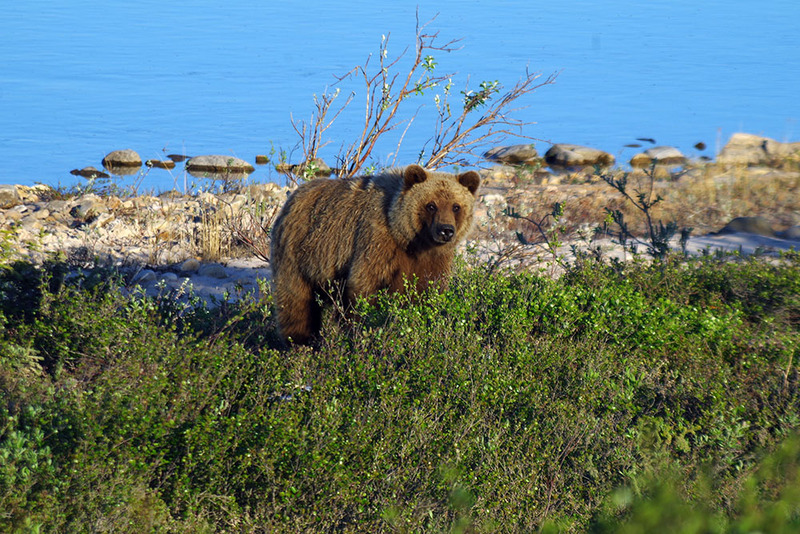 They are out of their dens at this time and the adults keep the pups in gullies or other natural hiding spots referred to as rendezvous sites. At times you can hear their enchanting howl. While hiking we may find artifacts. 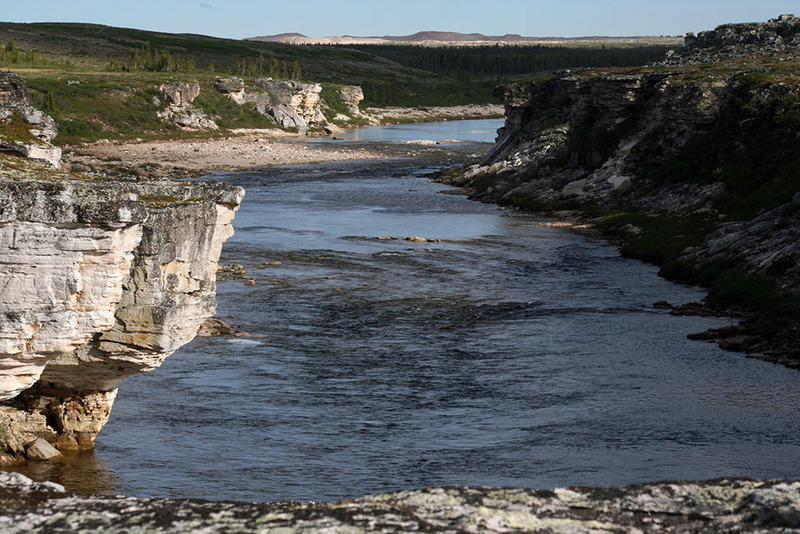 For thousands of years, this land has been summer home to both Dene and Inuit. It is a history of a unique interface of these two differing cultures. By law, any artifacts we find must be left in place, but we can take a GPS reading of any significant finds and report to the Prince of Wales Museum in Yellowknife. Paddling to the vicinity of D’Aoust camp, an old trapper’s camp, the panorama continues to unfold. Near camp is a beautiful stream where you can actually see the grayling in the current of the crystal clear water. 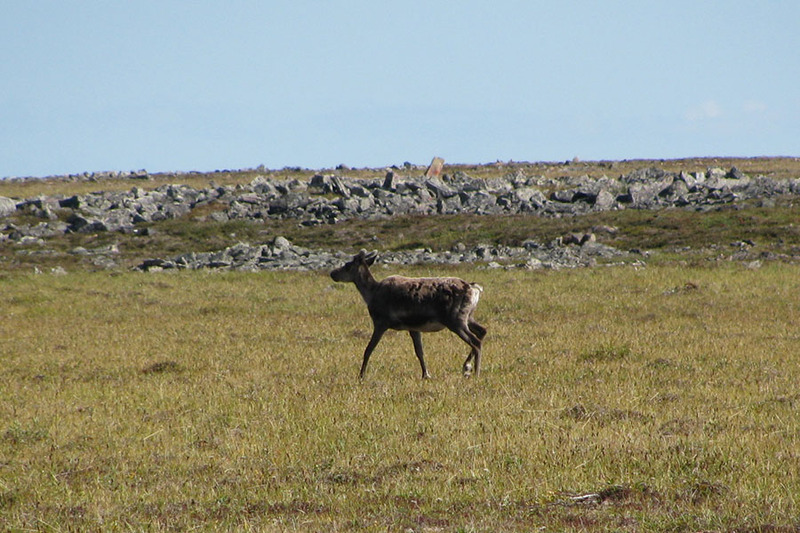 The caribou bulls that we see have blood-red coloured antlers. This is because they have just recently “dropped” the velvet looking tissue that provided nourishment to the growing antlers over the summer. This process marks their preparation for the fall rut. 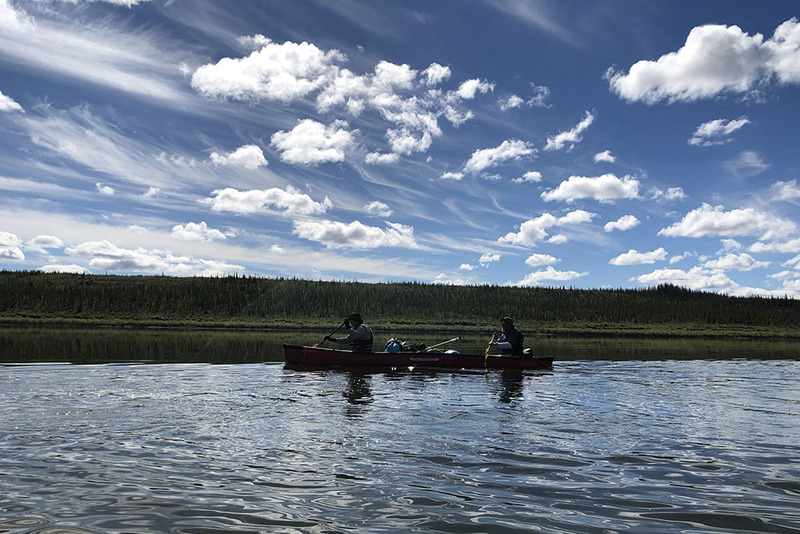 Paddling to the Mary Francis River and Esker System, we establish another base camp for two nights in this beautiful kettle lake and esker landscape. Great hiking and wildlife viewing opportunities abound. 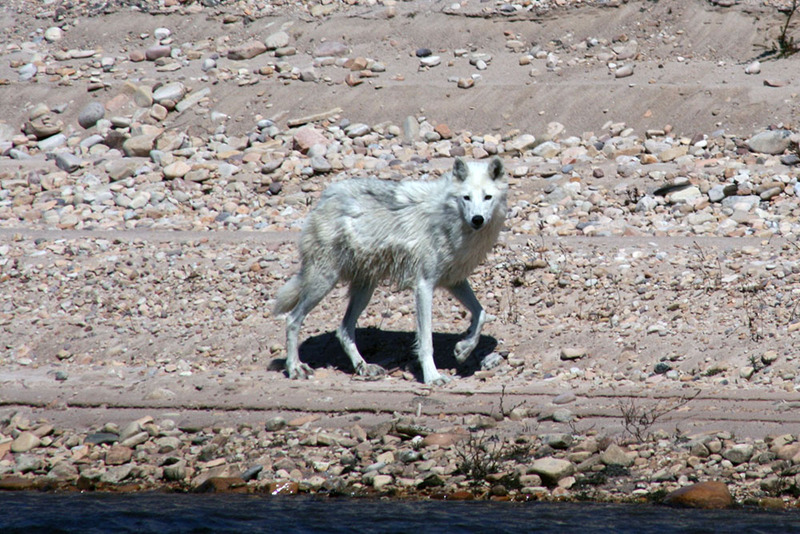 You may even see wolves chasing caribou. 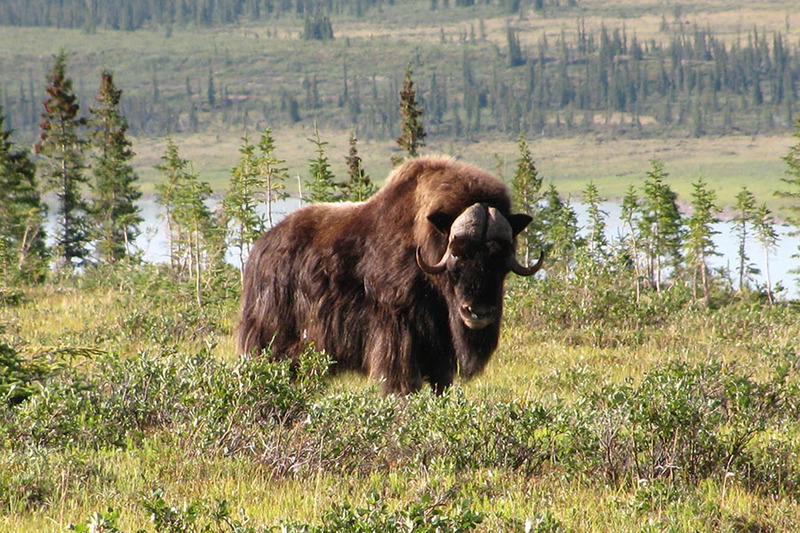 Muskox Camp is our goal. From here, a short walk brings us to a beautiful lake. Keep your eyes peeled for wolf and fox dens. We could fly out from this point if we have fallen behind due to weather. The muskoxen are not yet in the rut but the bulls are becoming testy and are chasing the young ones around. Eyeberry Lake is our final destination. 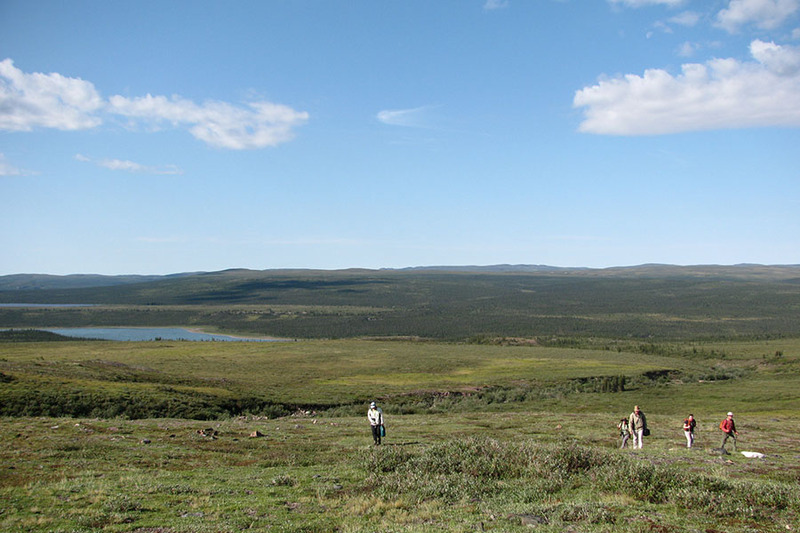 Amazingly, it is a rare refugium where moose may be found in the tundra. 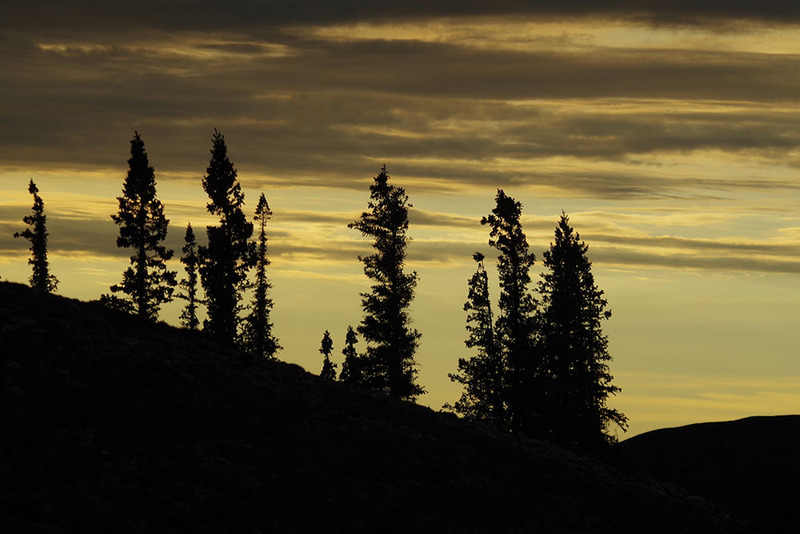 This is due to the microclimate of the Thelon, which allows thin ribbons of spruce to grow here and create a home for moose. Around mid-day our float planes will arrive. Flying back to Yellowknife over the tundra, the land is awash in the brilliant fall colors. Hopefully you will have at least a few shots remaining on your camera. After a relaxing morning and time to look around Yellowknife you will board your homeward plane with a load of fond memories and a relaxed and renewed spirit! 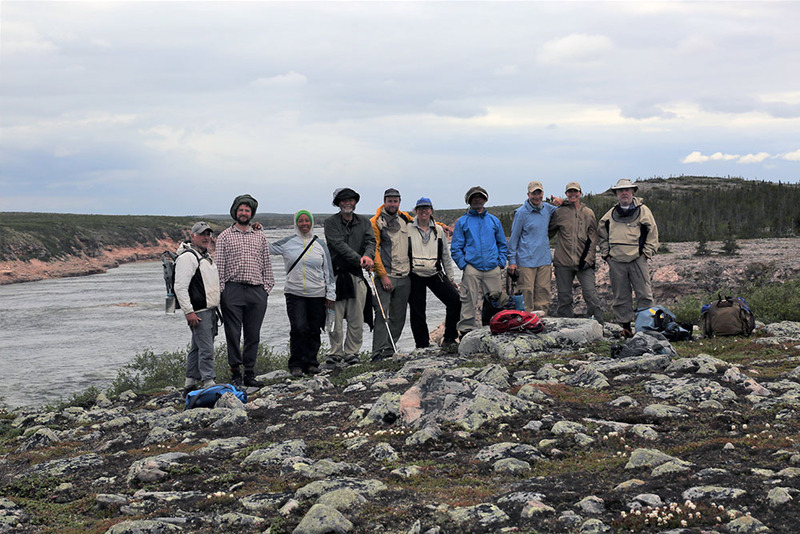 Meals and pre- and post-trip accommodation in Yellowknife are your responsibility – the cost is not included in the trip fee. 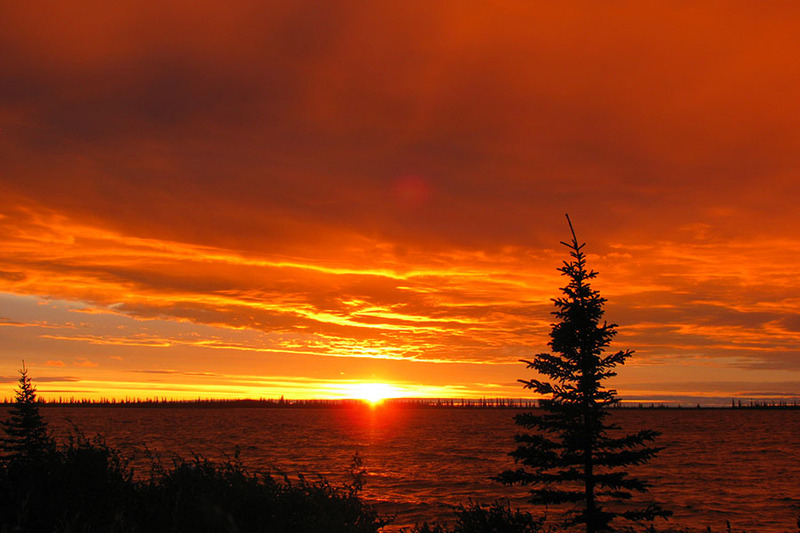 We have attached a list of Yellowknife hotels. 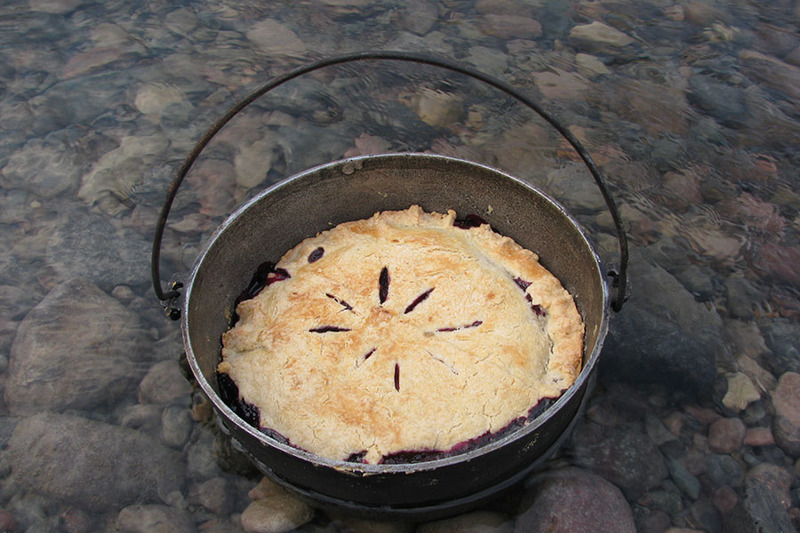 Breakfast, lunch, dinner and snacks are included from the Day 1 lunch until the final river meal. Any other meals off the river are your responsibility. Clothing Note: All tundra trips require good quality foul weather gear. Rubber boots make excellent footwear. Mosquitoes are abundant on the tundra. We have found that a bug shirt works very well to manage these pests and are an absolute requirement for venturing out onto the tundra. Dressing in light colours is also preferable as dark clothing seems to attract mosquitoes more readily. Please ensure that you have a warm winter jacket (think ‘Puffy’) as well as waterproof rain jacket and pants. We rent robust rain gear and rubber boots – more on our ‘Details & Packing’ list. Goretex is not a substitute for rain gear on this trip. Lifejackets are supplied.